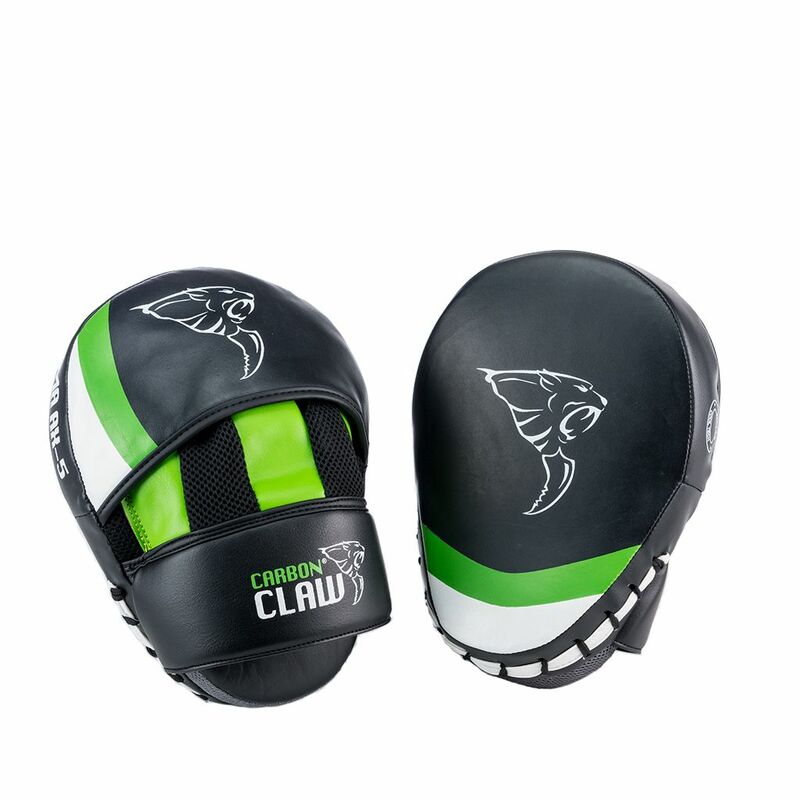 The Carbon Claw Arma AX-5 synthetic leather curved hook and jab pads are an essential coaching aid key to the development of speed, balance and movement as well as punching combinations and technique. The lightweight pads will absorb the impact from every hit, shielding the hands and wrists and preventing injuries. The target area is leather and the rest of the pads are made from strong cross-fibre synthetic material, with the filling composed of layers of Air and EVA foam. The curved interior of the pads allows the wearer to find a more natural grip position, stabilising them and reducing slipping and the chances of injury, further enhanced by the additional supportive padding under the wrist. for submitting product information about Carbon Claw Arma AX-5 Synthetic Leather Curved Hook and Jab Pads We aim to answer all questions within 2-3 days. for submitting product information about Carbon Claw Arma AX-5 Synthetic Leather Curved Hook and Jab Pads. We aim to answer all questions within 2-3 days. If you provided your name and email address, we will email you as soon as the answer is published. for submitting product review about Carbon Claw Arma AX-5 Synthetic Leather Curved Hook and Jab Pads.